Someone asked me to post this, not gonna mention any name(z). But don't ask for help nor advertise, because well you can make a thread for that. 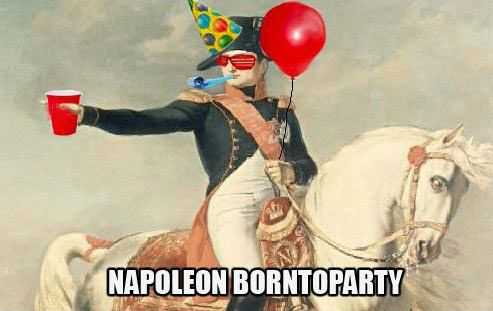 What is your opinion on Napoleon Bonaparte? Socks and sandles or sandles and socks? Do you believe that Reptilian Shapshifters govern our world? What would you do if a person wearing tinfoil wings walked up to your house and told you that he could take you to Wonderland? would you play my map ? And according to activebeat.com, Vanilla takes first spot, with a 29% of all ice cream liked. So taking those two sources into count, I must say with 100% confidence that Cookies and Cream is #1 of all time. NewcEntertainment would you play my map ? No, sorry. I don't play Minecraft much anymore. Dragonhart What would you do if a person wearing tinfoil wings walked up to your house and told you that he could take you to Wonderland? I go with them every time this happens, is that not normal? Danborg Do you believe that Reptilian Shapshifters govern our world? No, lol. They aren't reptilians, they are just mammal shapeshifters. 0PBeast Socks and sandles or sandles and socks? Sandals with socks on top, of course. There is a modded minecraft problem I'm having. what mod is causing the problem. I'm suspecting Metallurgy is doing something but I won't do anything yet. Let me know if you figured out what's the problem or what you think it is. CheesyRice How do I ask a question? Not sure tbh, ask someone else. xEth Why is your profile picture Kermit The Frog, Why does he have a gun? Why is your name KillerToad? My name is killertoad because I am a killertoad. And the frog is my enemy. Randomness3333 Wanna go on a date? If you're paying, then sure why not. Why is your profile picture Kermit The Frog, Why does he have a gun?